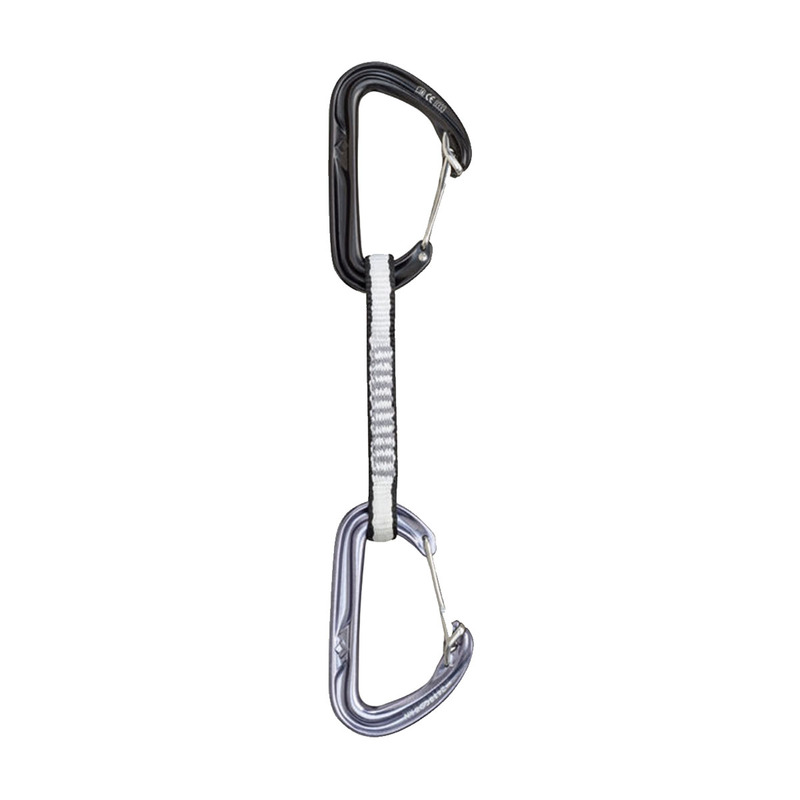 The Black Diamond Hoodwire Quickdraw is a feather-light wire-gate quickdraw for alpine climbing, or any type of climbing where easy clipping and a light weight are essential. The Black Diamond Hoodwire Quickdraw features all the anti-snag performance of a keylock nose with the lightness and anti-freezing qualities of a wire gate, while the wire hood prevents snagging while cleaning. The 12mm Dynex sling is durable but light, and the Straightjacket insert at the bottom ‘biner helps keep it in place and prevents twisting.